shutterstock/Ritu Manoj JethaniDUBAI, UAE – FEB 1: The newer Terminal 3 (Emirates) at Dubai International Airport, one of the busiest airports, on Feb 1, 2014. It is the single largest building in the world by floor space. 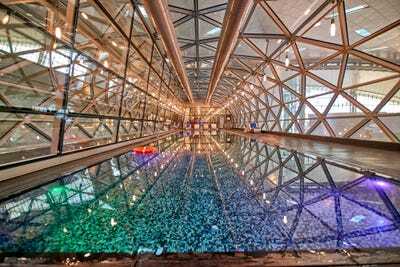 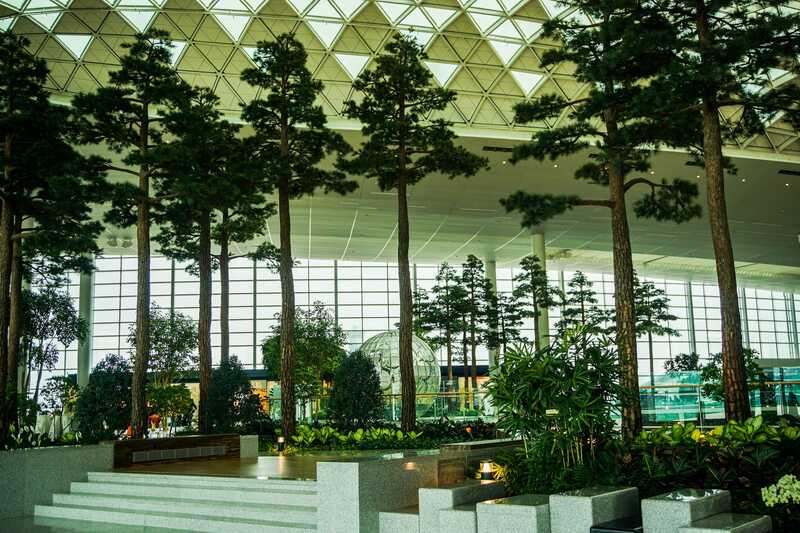 These airports were built to impress travellers, not just to shuttle them around the world. 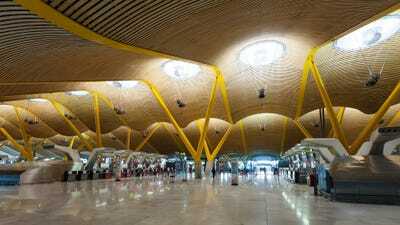 They were constructed to the tune of many millions (if not billions) of dollars to impress and inspire world travellers on a grand scale of what their host countries are capable of accomplishing. 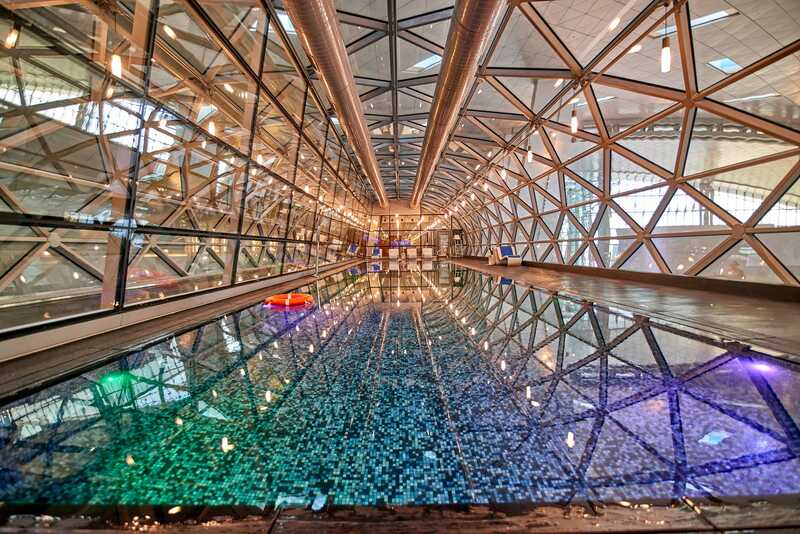 Opened in 2014, the Hamad International Airport features a 25 meter, temperature-controlled indoor lap pool. 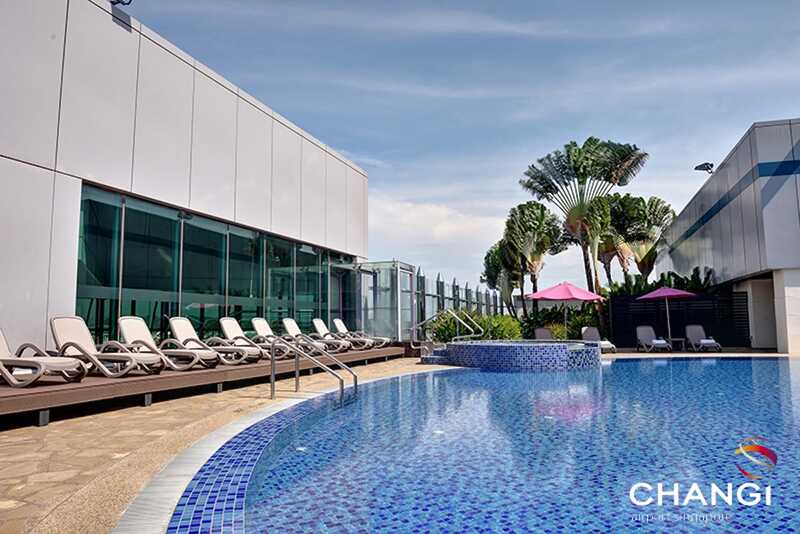 It is open to the public and for only $US35 one can take advantage of the pool, gym and Jacuzzi. 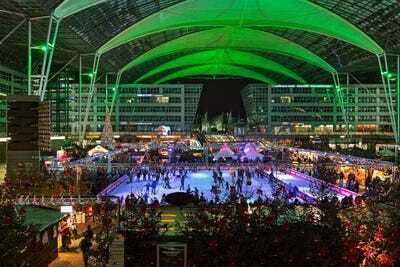 shutterstock/MikhailMarkovskiyChristmas and Winter Market with ice rink in the Munich Airport. 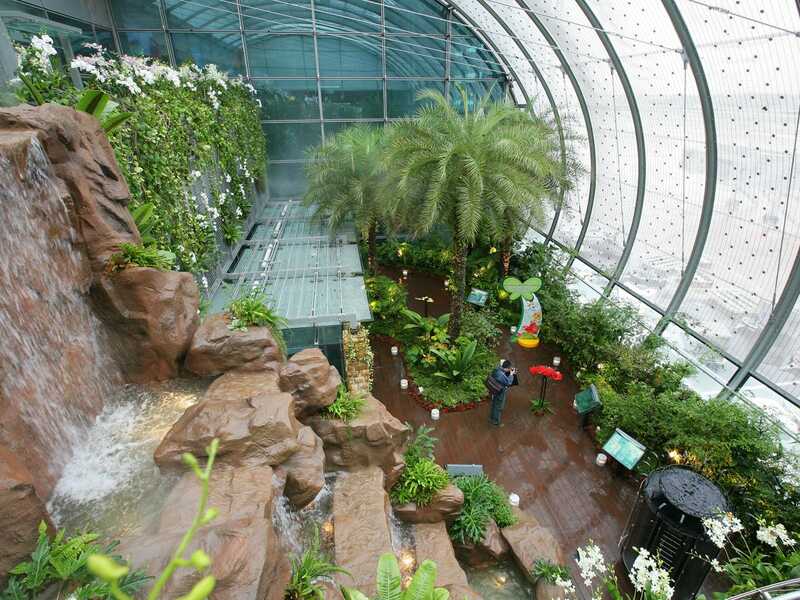 There is no other airport in the world that supplies its travellers with both a brewery and giant ice rink. During Christmas the airport holds a winter market where travellers can skate around and then try various brews. 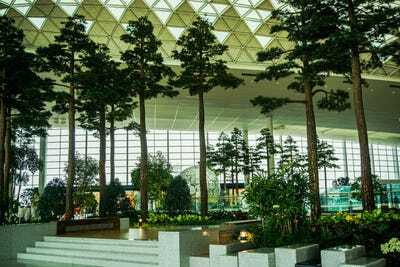 One of the world’s busiest airports since it opened in 1998, travellers are often amazed at the Jungle Boardwalk and the palm trees inside the Satellite Terminal gardens, which are encased in circular glass. 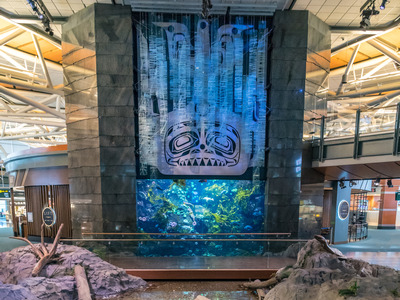 San Francisco International Airport’s international terminal features a yoga room to offer its travellers a way to relax after a long overnight flight. 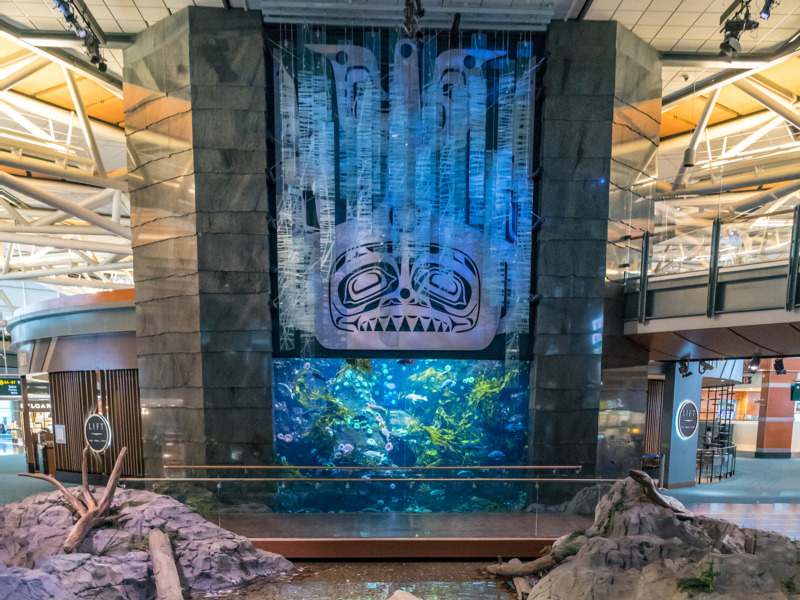 There is also the SFO Library and Museum in the International Terminal that has exhibits and books on hand. 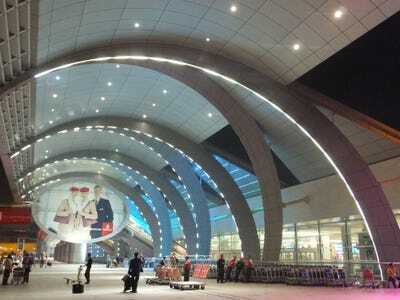 shutterstock/Ritu Manoj JethaniThe newer Terminal 3 (Emirates) at Dubai International Airport, one of the busiest airports, on Feb 1, 2014. It is the single largest building in the world by floor space. 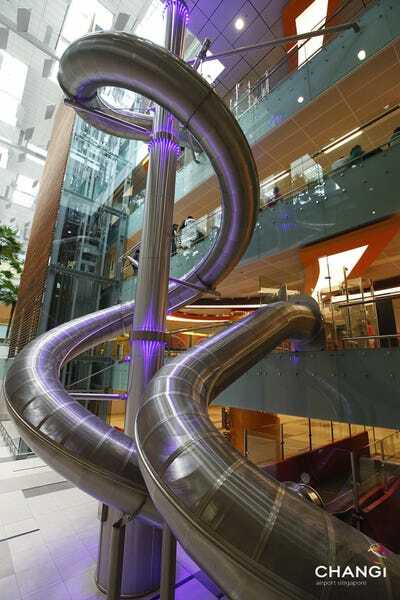 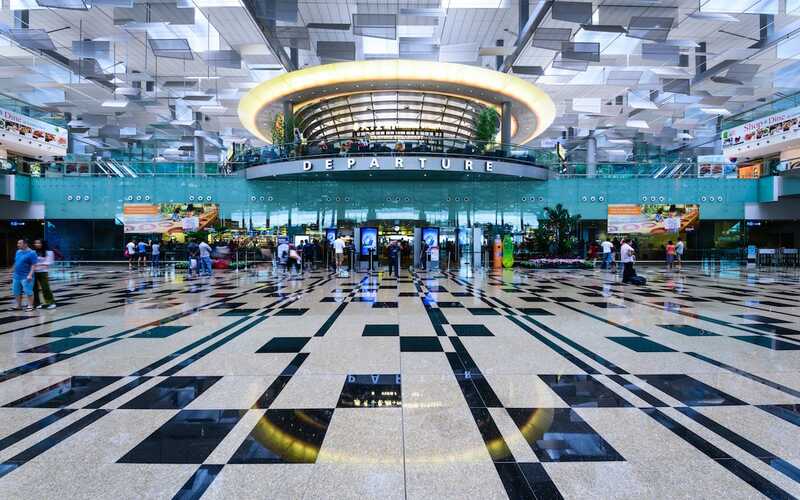 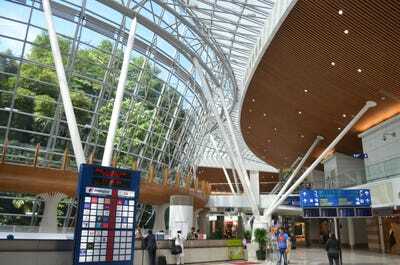 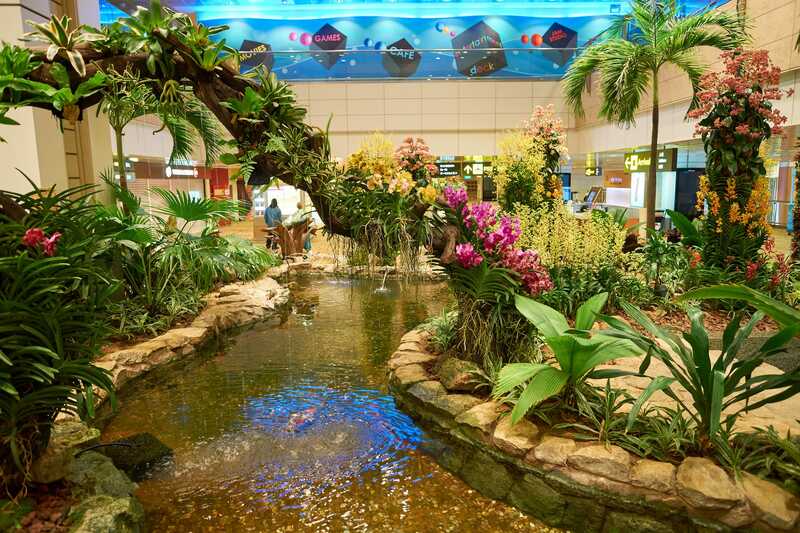 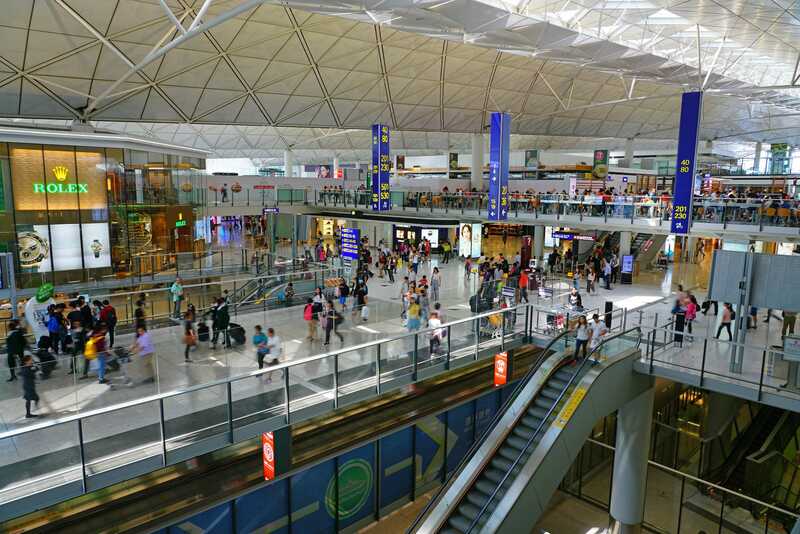 One of the central travel hubs in Asia, Singapore’s Changi Airport is generally considered the best airport in the world. 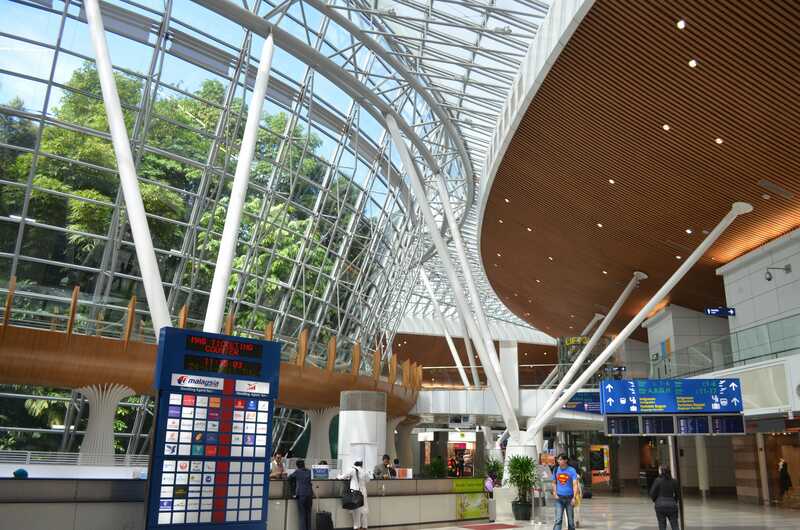 Travellers are often amazed by its cleanliness, great service, and dramatic interior design. 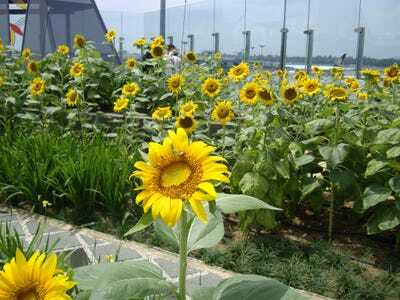 But there’s much more. 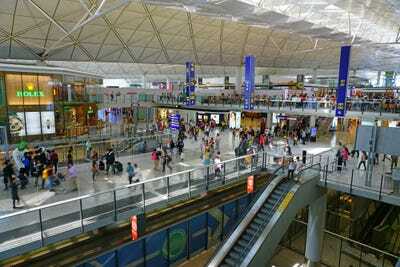 shutterstock/sorbisInside of Singapore Changi Airport.